Thermo benefiting fur that keep you warm in the winter and cool in the summer. 10mm foam for unmatched comfort. Nylon lining to protect your car seat. 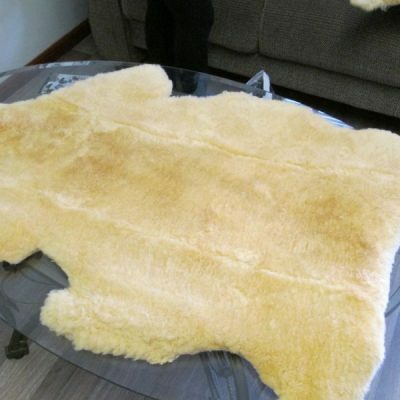 You have a choice between genuine sheepskin or synthetic fur. All materials are available in a variety of colours to match your car’s interior. As materials can be cleaned it thus not only protects your seats against dirt and spills but daily wear and tear too. Synthetic fur can be machine washed. Medical skins are specially tanned and treated for use as a nursing aid to minimize the occurence, severity and duration of pressure ulcers (bedsores). It decreases the friction, pressure and humidity at the points of contact between the patient and the bed or chair. The high density of wool fibre creates soft and cushiony effect that distributes body weight, as wool can absorb moisture up to a third of it’s weight without feeling wet, the wool fibre keeps moisture away from the skin, benefitting prevention of bed sores. Medical skin slippers aid in the reduction of swollen and tired feet and improve blood circulation.